There is no need to uninstall the earlier 10.2 or 10.1 version (I have them both still installed on my machine): Simply choose a different installation folder (you cannot update an existing version). The Eclipse Updater Plug-In which adds the Processor Expert to an existing Eclipse installation (see this post). So you can combine this e.g. with your ARM GNU gcc of choice. The Driver Suite which comes with an Eclipse plus Processor Expert combined (so you do not need an existing Eclipse). This however does not come with a tool chain, so you need to either use it with something like IAR or Keil. So which one you install depends on your environment and needs. Of interest are the ARM GNU compiler, IAR and Keil. How the IAR compiler can be used within Eclipse, see this post. 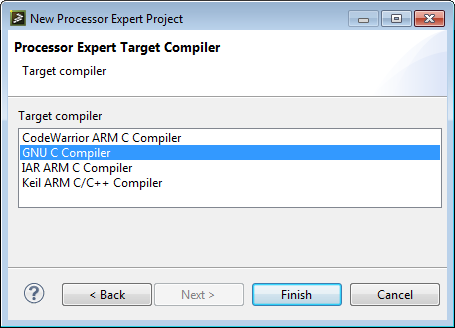 I do not recommend the CodeWarrior ARM C Compiler: Freescale switched to the ARM GNU C(/C++) compiler as the default: better us the GNU one which produces even better code for my projects. For ColdFire+, there is the CodeWarrior compiler, IAR and GNU C (but I do not plan to use ColdFire+). More interesting is the added support for Vybrid. The Vybrid series uses ARM Cortex A5 plus on some devices an ARM Cortex M4. Once I find some time, I definitely need to play with such a device to do some asymetrical multicore processing (I have a project running using the Raspberry Pi camera, so this could be an intesting thing 🙂 ). For Vybrid, there are IAR, ARM DS-5 and GNU offered as compiler choices. for my installed user components, so I can use everything in parallel with the 10.2 release (good!). So all my custom components from GitHub are there :-). So far things look very similar to 10.2. But what I noticed is that things are snappier now (maybe because I used it in a new workspace?). But the overall impression is that the speed has been improved (a general complain about Eclipse based tools). 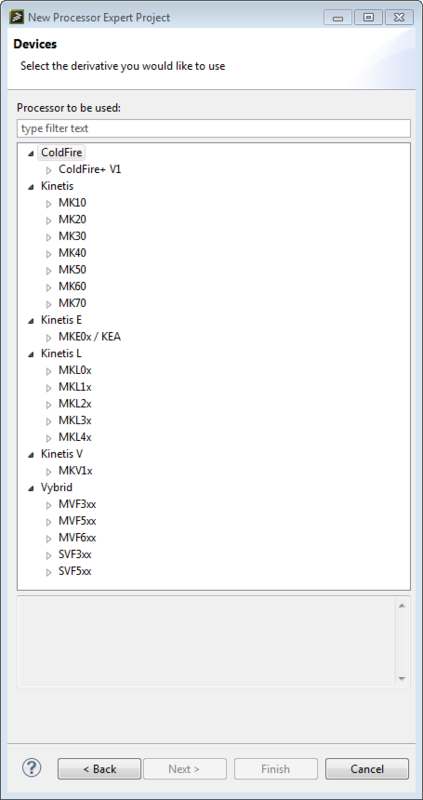 Additionally, the TSS (Touch Sensing) library supports the Kinetis E series, and MQX Lite RTOS supports the V (Vybrid) series. Definitely this gives me now something in my hands I can play with Vybrid. Looks I really need to order one of these Tower Vybrid boards? So this is more of a maintenance release, adding new devices with bug fixes. I switched over a couple of my projects to the 10.3, and this was working fine. This entry was posted in Eclipse, Embedded, gcc, Kinetis, Processor Expert and tagged arm gcc, Eclipse, Embedded Component, Freescale, gnu gcc, Processor Expert, software, technology by Erich Styger. Bookmark the permalink. Hello Erich, I’m having this problem: http://img560.imageshack.us/img560/7121/e4bh.png any tip on what I’m doing wrong? Thanks! it looks like you try to install the DriverSuite 10.3 into CodeWarrior for MCU? This will not work, as CodeWarrior has it’s own version of Processor Expert. First time installation of Processor Expert Driver Suite V10.3 fails. They have forgotten to pack com.freescale.eclipse.3.7.updater.custom.updatesite.zip in to driver suite. So, for first time installers, you have to find V10.2 (which is quite hard, since there are no links to it left on freescale site), extract above zip file, and follow initial installation instructions from 10.2. Are you using the standalone version, or the plugin into an existing Eclipse? I have not faced a problem to install the 10.3 standalone version. I know that when I added 10.2 to my Eclipse Kepler, it required that special update package (I still have it downloaded on my machine). Obviously I had it installed already, when I have updated it to 10.3. 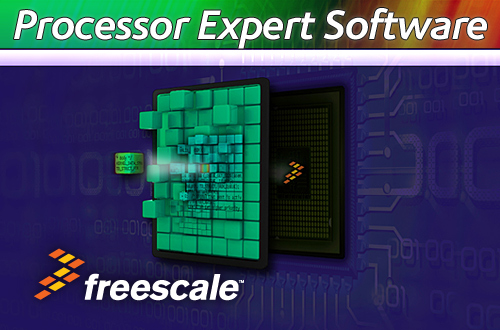 I suggest that you report that problem on the Freescale Forum too (I have passed it to my contacts). Have you gotten a Vybrid yet? I was looking at using one, so dowloaded the DS5 toolchain and installed PE in it, and your components. Trying to make a project with FreeRTOS, just to see if it worked. And… it didn’t. FreeRTOS is trying to invoke unsupported interrupt (for task switching) and timer resources. SD card has similar issues. Guess it’s a little early for that one…. It’s a very interesting processor – even the single core versions, because SO MUCH memory onboard (1.5MBytes!). For a lightweight OS like FreeRTOS that’s awesome. yes, I gotten that Vybrid board, but it is waiting in the shelf for me finding time to work with it. I have had not had a chance yet.